Based on the new ACCESS TO NUTRITION INDEX (ATNI) GLOBAL INDEX 2018 which was produced by the Access to Nutrition Foundation (ATNF) team, consisting of Inge Kauer, Marije Boomsma, Paul Vos, Simona Kramer, Ellen Poolman, Fiona Kirk, Magdalis Mercillia and Rachel Crossley. The ATNF team drew on the expertise and advice of the ATNI Expert Group. Their close engagement throughout the ATNI development process has been a source of invaluable guidance, and this report benefited greatly from their input. The Global Access to Nutrition Index (ATNI) 2018 has become possible due to the generous support of the Bill & Melinda Gates Foundation and the Dutch Ministry of Foreign Affairs (DGIS). The 2018 Index shows the world’s biggest F&B companies have stepped up their efforts to encourage better diets, mostly through new and updated nutrition strategies and policies, improved commitments on affordability and accessibility, better performance on nutrition labeling and health and nutrition claims, and more disclosure of information across categories. The 2018 ranking is led by Nestlé with a score of 6.8, up from 5.9 in 2016. Nestlé shows above average performance in all, and improvements in most, of the categories of the Index. Unilever is second (6.7 versus 6.4 in 2016), and Danone third (6.3 versus 4.9 in 2016). Nine companies scored 5 or more, compared to only 2 in 2016; and the average score overall went up from 2.5 to 3.3 out of 10, but remains quite low. FrieslandCampina has made the greatest improvement since the 2016 Index, from 2.8 to 6.0. 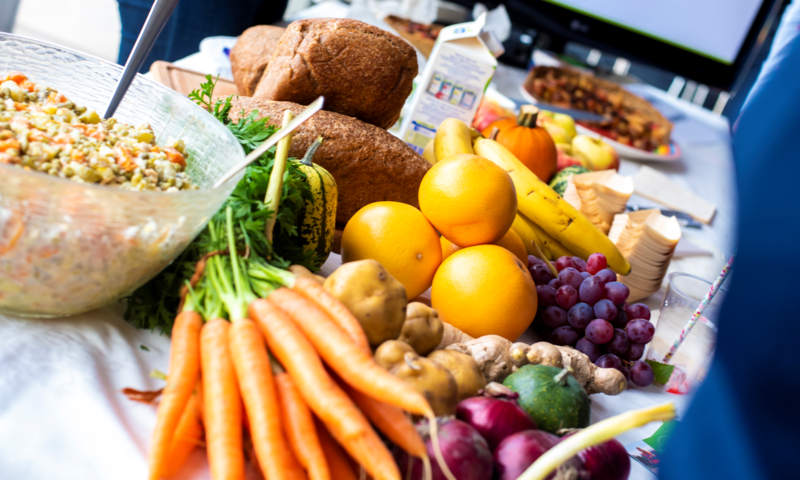 It launched its new ‘Route2020’ strategy, has an updated Nutrient Profiling System (NPS), has a new publicly available responsible marketing policy, and publishes more about nutrition on its website. Kellogg also increased its score (from 2.5 to 5.0), mostly due to new disclosure spanning the full ATNI methodology in its ‘Nutritional Milestones’ document. On the other hand, two companies fell in the ranking: General Mills provided less information and supporting evidence in feedback to ATNF than previously, and BRF did not participate at all in this Index. Seven companies have strengthened their nutrition strategies and management systems, reflected in an increase of one point or more in their Category A (Nutrition governance) scores. and Danone when it acquired WhiteWave. applied by ATNF in the Product Profile assessment (see below in the Product Profile section).